Brachiosaurus t-shirt from The Mountain® is a dinosaur design by Jerry Lofaro. You can almost feel the vibrations in the ground and see the ripples of water as this larger than life, Brachiosaurus wades through a pre-historic marsh. This long necked dinosaur much like the giraffe ate leaves from the tops of trees. 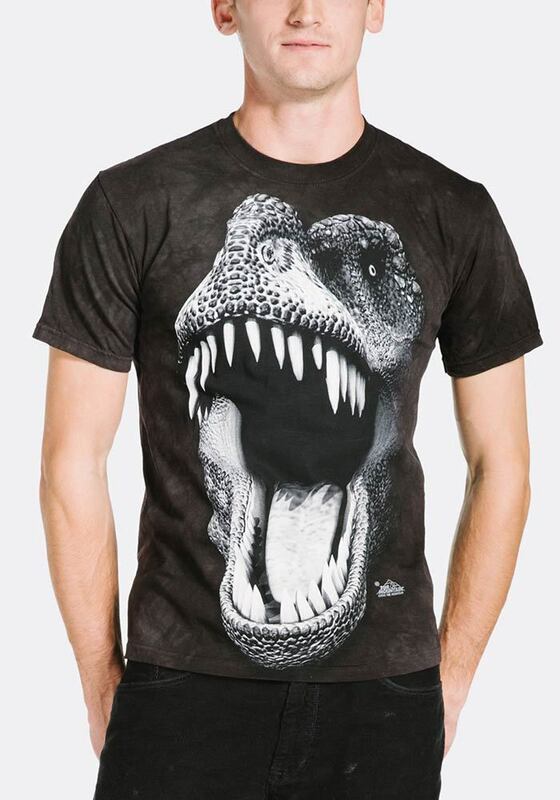 This dinosaur t-shirt is a classic cut and suitable for both men and women. Did you know? The name Brachiosaurus comes from Greek words meaning 'arm' and 'lizard'.